Hi everyone, today let’s chat about how to build your lips over time with filler injections. As an injector, I think all lips are gorgeous and my goal is to enhance the lip you already have and create symmetry. With hyaluronic acid filler injections and the golden ratio PHI, we can create the most beautiful lip that is just the right size & just right for you! Celebrities like Kylie Jenner have made getting their lips filled a new trend. In fact, Kylie Jenner’s lips were the 2nd most googled thing in 2015, making her lips world famous! 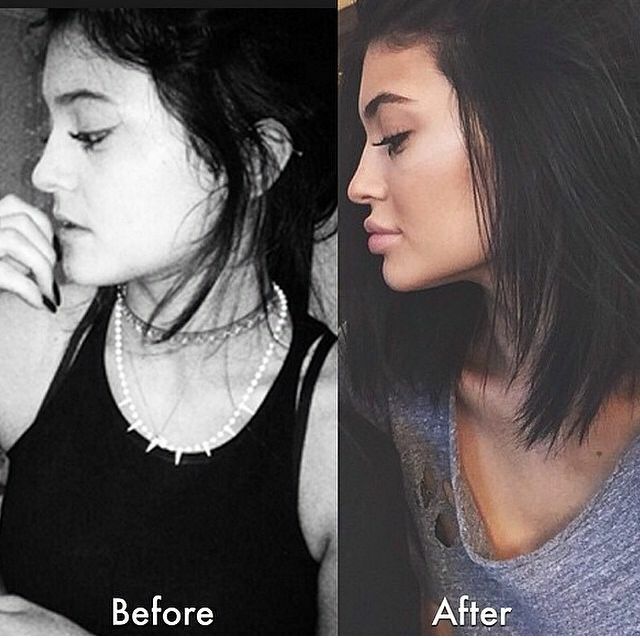 Kylies before & after lip transformation is all over the internet BUT did you know it took years of work to build her volume? Her dramatic transformation is unique & the absolute correct way to achieve this look! She listened to her injector and built her lips slowly, which is key for her lips to remain the same shape! Her lips are big and beautiful, yet don’t overwhelm her face. Her injector also strategically placed injections in areas around her face to create higher cheekbones and to slim her square jawline. These additions help to create angles for the perfect PHI proportion balance. & PHI proportions for Kylie, are different for you & me, it is the unique beauty of your features! If you have a certain size in mind, you have to take it very slow and be patient. On average it may take between 1-3 cc’s of hyaluronic acid (filler) for someone to reach their ideal lip volume, especially if they metabolize filler quickly. So don’t be discouraged if you show us a picture of someone on Instagram and we tell you it will take 6 months to a year of work to get you there. Also, keep in mind we cannot change the shape of your lip, only to enhance what you already have. 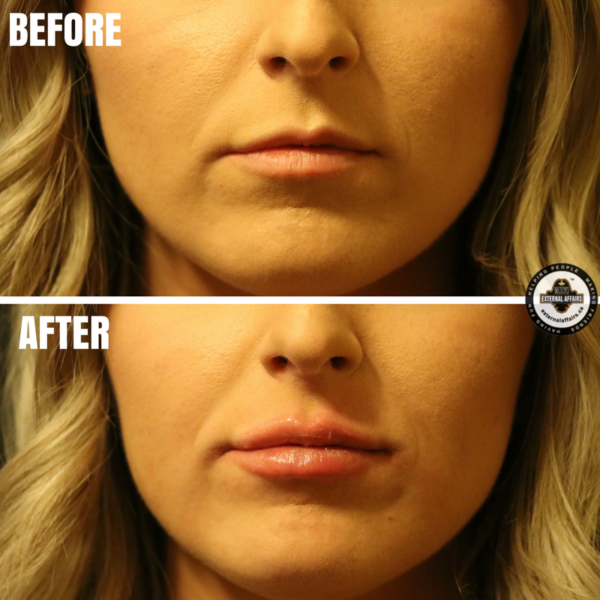 Showing photos of lip fillers you would like can be helpful for your injector to create a customized treatment plan for you and an idea of how many appointments you may need.With social media at our fingertips, you can see some excellent photos that showcase #lipgoals, but you can also see some poorly done lips. When you attempt to add volume at a fast rate (one or two filler syringes in one or two treatments), is not a good idea. It can cause the lips to look distorted and give you the dreaded duck lip. Additionally, please steer clear of suction devices to give you temporarily bigger lips. They can damage your lip vessels, cause bruising, and also permanently disfigure your lips. Visit us at EA for a consultation with myself or one of our other talented nurses, we can make a treatment plan to work with your budget. The higher cost of lip filler is worth it over needing medical treatment due to these untested, short-term fixes. So, ladies whether you hate her or love her, Kylie Jenner (& the Kardashian clan) have started a lip movement. But it is important to remember small pout or transformational lip changes require time, patience, and money. I hope you enjoyed my blog, I’d love to hear your thoughts on this hot topic!